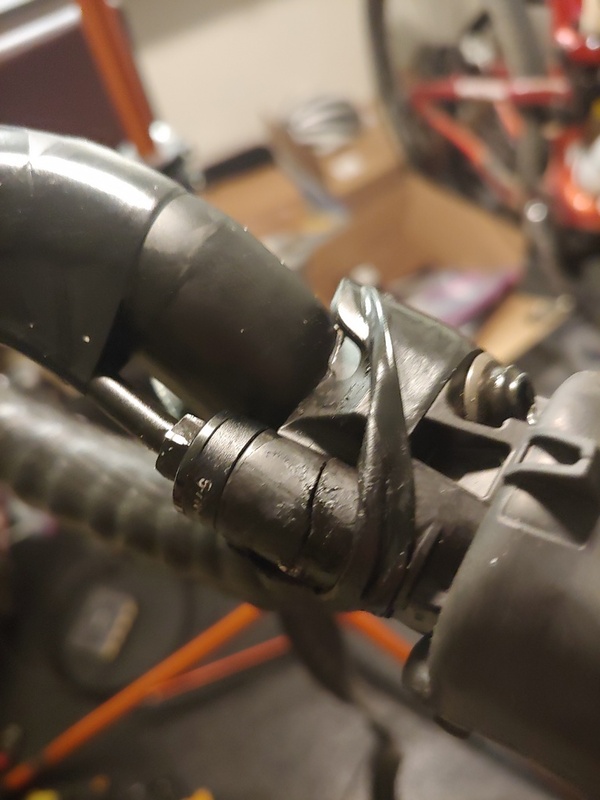 just torquing these down like i've done with shimano hydros two dozen times and they crack WELL below max torque and WELL before the nuts were close to bottoming out on the housing. super disappointed and has made me consider switching to sram. Something to verify when tightening that compression nut: be sure to keep a small amount of preload on the hose its bottomed in the housing. 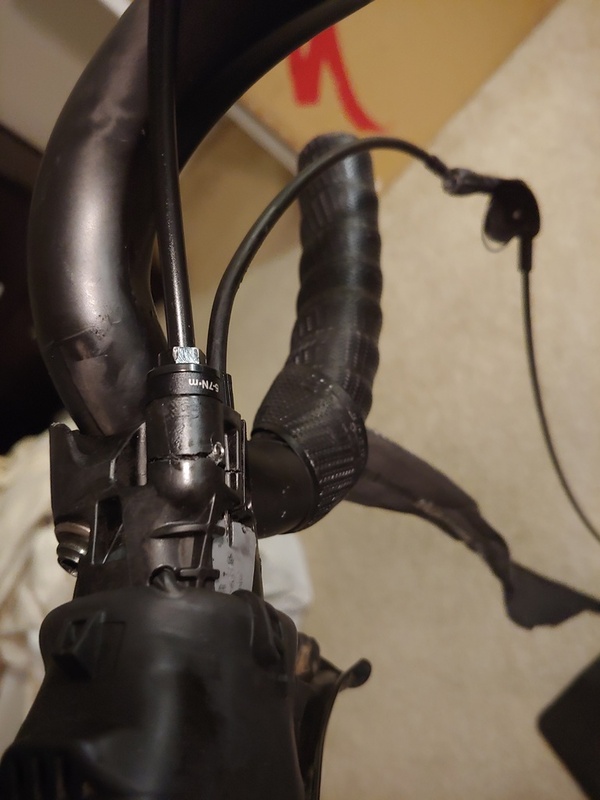 I have 3 bikes with ST-R9170 (Di2 hydro) that use the same compression nut. None of them bottom completely. Typically about 1~2 threads still showing on nut. Many thousands of miles, gravel, CX, road (and a national championship) on them and no cracks. Issue I did have was the internals becoming clogged so the lever would not draw fluid from the reservoir. 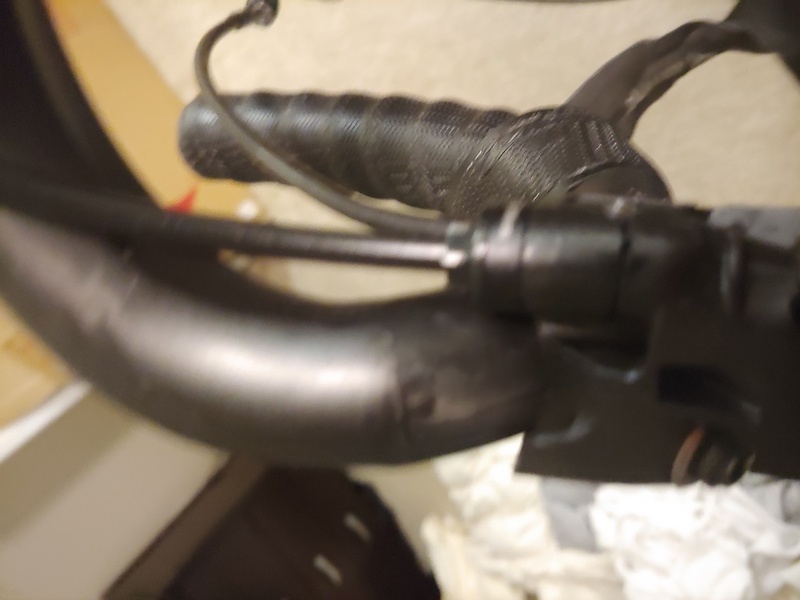 Shimano warranteed two L levers for me. So you've done it 24 times, and after one failure you're considering a brand switch? You keep spamming this. Get over it man. thanks for the tips. ill leave a several threads showing. trggrd. send me $500 and i will. I have 2 sets that I had to change the lines around because I run the rear brake moto style on the left. You should probably change to SRAM. IDK. It's heading that way for sure. shimano unsurprisingly declined warranty claim. some fault on my end, i guess, but still a design flaw IMO. between that and the other issues, they're losing ground. sram 1x AXS 12-speed wireless with hope calipers is looking pretty good...if the batteries are staying put and the M/C pistons aren't swelling up anymore. Proper torque is keep cranking till it snaps, then back off 1/4 turn. That really does stink though. I recently did a set of Ultegra Di2 hydros. I had a definite resistance from the compression olive. i thought i was going by feel - i'm usually pretty close when i check myself. o well. lesson learned. That's terrible advice. You should always crank until sparks and smoke come out of the threads and then stop. Then spray it all with WD40. Can I just throw Dura Ace STI brake/shift on my XTR?